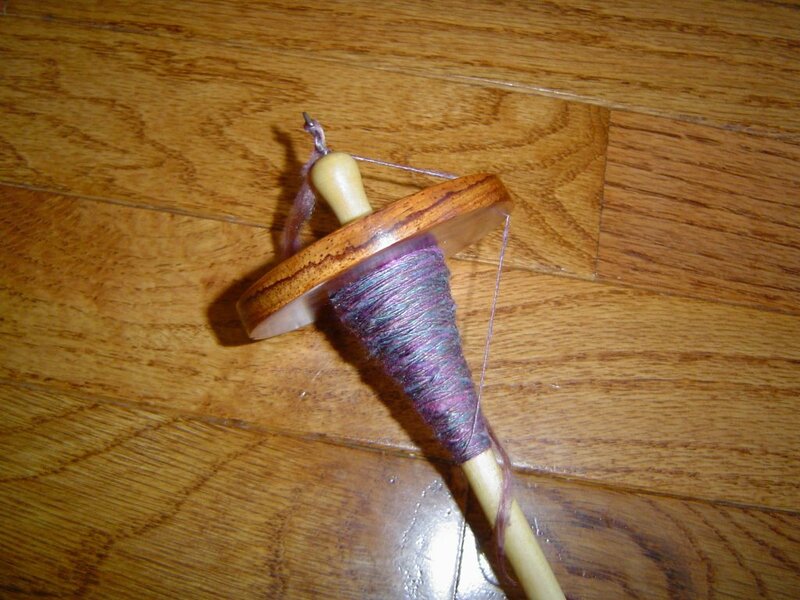 I hate how pictures never really capture the beauty of yarn or roving, but the picture is gorgeous, so I can just imagine it being so much more in person. Your yarn is great. I love The Silk Worker. Have you tried the silk from Chaseing Rainbow Dyeworks (featured on Knitty as well)? Thanks for the great tip on the article on Knitty. I wouldn't think to look there for spinning information. Your silk is coming out just beautifully. I want to use 2 silk caps to create a lined shawl. I have been told that you cut them open and then overstich so that the thread holds - plse can you help?